Digital retail payments platform Pine Labs is acquiring Bengaluru-based gift card solutions provider QwikCilver for $110 million (Rs 758 crore at current exchange rates). The transaction will be funded from Pine Labs’ cash reserves with additional capital coming from existing investors, the company said in a statement. On completion of the transaction, which is subject to customary closing conditions, QwikCilver co-founder Kumar Sudarsan will join Pine Labs’ leadership team, the statement added. Pine Labs expects to blend its merchant-focussed solution with QwikCilver’s brand-focussed software-as-a-service (SaaS) offering to increase its market reach in India and abroad. The combined gift solutions business will have a customer base of over 250 brands and retailers, and 1,500 enterprise clients, the company said. Founded in 2006 by Pratap TP and Sudarsan, the company is a full-stack gift card service provider. It claims to power nine out of every 10 gift cards in India and manages an annualised gross transaction value of $1.5 billion across India, the Middle East and Southeast Asia. “We have built a robust and versatile stored value and gift card technology platform. We have also built a strong network and enduring strategic brand relationships with the best brands in India, the Middle East and Southeast Asia. With Pine Labs, we have the potential and ability to significantly scale the gift card category and drive consumer adoption with novel products and solutions,” Sudarsan said. QwikCilver changed into a mobile-first online gifting superstore for consumers when it re-branded its flagship product Giftbig to Woohoo in 2015. Woohoo provided consumers with gift cards of reputable brands that could be redeemed at online and offline stores. These could also be used to shop on the Woohoo mobile app. The app allows retailers to accept multiple currencies. Similarly, it would offer points from currency partners and loyalty rewards programme under Payback to be accepted across thousands of retailers. QwikCilver also provides a business-to-business backend technology for all transactions that happen for plastic gift cards, loyalty cards, code programmes and social media gifting of various brands. Run by QwikCilver Solutions Pvt. Ltd, the company raised $10 million led by Sistema Asia Fund in July 2016. It had raised $10 million in a round led by US-based e-commerce giant Amazon in 2014 and an undisclosed amount from Helion and Accel India in 2008. It has partnerships with major retailers such as Future Group, Shoppers Stop and PVR, and e-commerce firms such as Flipkart, Myntra, MakeMyTrip and Amazon. The company launched its own gift solutions business - Pine Perks - four years ago. Today, 600 organisations across banking, insurance, manufacturing, pharmaceutical, FMCG and telecom use the product. “We see excellent complementary strengths between the Pine Labs’ and QwikCilver’s gift businesses. While Pine Labs has a strong merchant network, QwikCilver has market-leading processing and distribution capability,” Vicky Bindra, chief executive officer, Pine Labs, said. Run by Pine Labs Pvt. Ltd, the firm was founded in 1998 by Rajul Garg, who quit the company in 2003. The payments company was then taken over by Lokvir Kapoor, its executive chairman currently. Initially, it focused on large-scale smart card-based payment and loyalty solutions for Indian petro companies. The distinct shift in the business model began around the time when homegrown payments major Paytm launched its operations. Pine Labs has developed a cloud-based payments platform, which allows merchants to bill customers using traditional electronic payment methods such as credit or debit cards issued by any bank, e-wallets, QR code payment solutions or other UPI-based solutions, on a single platform. 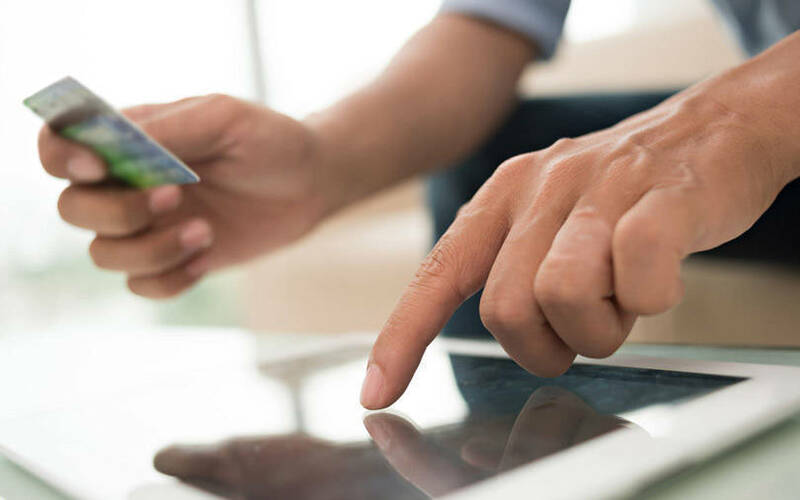 Through its cloud platform, Pine Labs has been able to offer retailers targeted customer-engagement campaigns, consumer analytics, and in-store consumer financing for partner brands that can be tailored to customers at the point of sale. It later ventured into electronic gift cards and a pay-by-points product that spans major card loyalty programmes. Pine Labs has also partnered with non-banking finance companies to rapidly scale up the merchant lending business. The firm last raised capital in May 2018 from Singapore state investment firm Temasek and American payments giant PayPal Holdings Inc. which had invested a total of $125 million in it. The investment came barely two months after private equity firm Actis Capital led an $82-million round into Pine Labs in March last year. The company had appointed Bindra, who was Visa Inc.’s global head of products and solutions, as the new CEO in April last year. Pine Labs claims to process annualised payments of $20 billion.